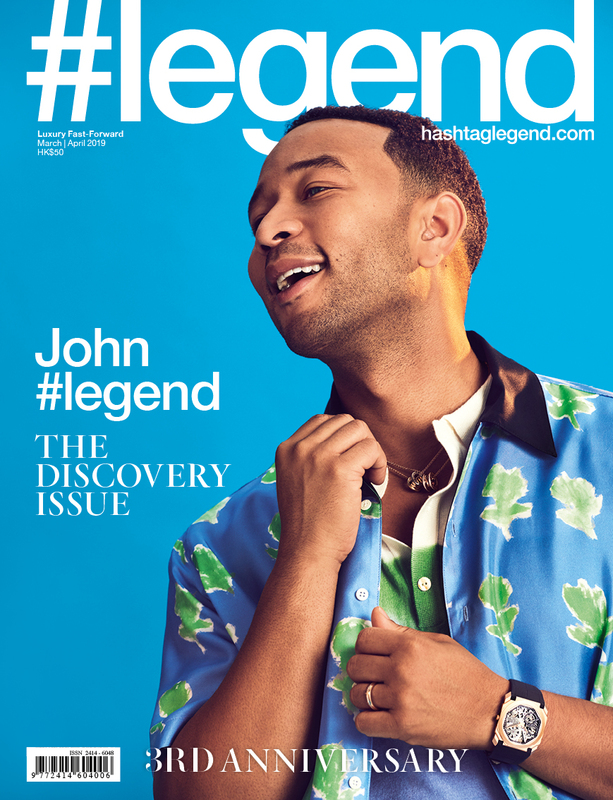 When i co-founded #legend in 2015, the vision was to save the media world from destruction, and to find innovative ways to make the media industry profitable and sustainable again so we could collectively make the world we live in a better place by highlighting the important issues that affect all of us. Their dream is so big and culture-defying, but their mission is so simple and smart – to make delicious meat, fish and dairy foods directly from plants. The plant-based food will also be cheaper, healthier and taste better. It provides the consumers with more choice at a tiny fraction of the environmental impact that animal rearing would create. I must be honest – one of the reasons I was curious to visit the Impossible Foods headquarters was because of the investors backing the company. They include Bill Gates, Li Ka-Shing’s Horizons Ventures and Singapore’s Temasek, who participated in multiple funding rounds and have raised almost US$400 million in total venture funding since its founding. I wanted to find out for myself why two of the world’s richest men are pouring their money into food technology, and specifically Impossible Foods – they must know something that we don’t. This is either very good news for us, or maybe the earth is in worse shape than we thought. The very first time I tasted Impossible was also the first time I met Pat Brown, CEO and founder of the company. My daughter Liana and I were seating directly across from him for a casual dinner at Vina Enoteca, the first Silicon Valley restaurant to serve the Impossible Burger. While Pat was distracted and commending Liana for skipping classes to be on this trip (skipping classes was something he did often when he was a student), I discreetly took a bite of my Impossible slider. Was it love at first bite or did I embarrass myself in front of the father of the burger? Thankfully, I loved it. We were then treated to an Impossible Pizza, which was also delicious, but by this time I was too engrossed by the man in the homemade tie-dyed T-shirt with the Impossible logo across the chest telling us about his seemingly impossible dream to save the world, one delicious burger at a time. We met Brown again the next morning at the Impossible Foods headquarters and test kitchen in Redwood City, where we were served the (very tasty) Impossible Breakfast Sandwich – and a wake-up call to how fragile our earth is. We live on the greatest planet in the universe – it’s the only one that 8.7 million species call home. Our planet has oxygen, water, seasons, beauty and biodiversity. It’s perfect and precious, but also fragile. The earth’s atmosphere is incredibly thin – roughly 20 times thinner than an apple skin is to an apple. Few people are aware that nearly 50 per cent of the world’s habitable land is used to raise animals and the crops that feed them. Animal agriculture generates 15 per cent of global greenhouse gas emissions and requires more than 25 per cent of our global freshwater. Raising animals for food has helped nourish our societies and communities, but at a huge detriment to the climate, water reserves and wildlife. As our population grows to a projected 9.7 billion by 2050, the demand for meat, fish and dairy will continue to increase. Impossible Foods’ mission is to make the global food system sustainable and support the growth in human population while eliminating the need for animal food consumption by 2035.Great leaders have more than a mission; they have an epiphany. Brown’s epiphany is understanding what makes meat delicious. We visited Impossible Foods’ first large-scale food manufacturing site in Oakland to see how their first product, the Impossible Burger, is produced. Everyone wants to know the secret recipe. The Impossible Burger is made from simple ingredients, including water, wheat protein, potato protein and coconut oil. But what sets it apart from the other veggie burgers out there is the special ingredient: heme. It contributes to the characteristic taste of meat and catalyses all the other flavours when meat is cooked. In short, it’s what makes meat delicious on a molecular level. The Impossible Burger is meat for meat lovers – it tastes, smells and cooks like ground meat from a cow, but it’s entirely plant-based. Impossible Foods will also launch a new recipe in January, available in Asia later this year, which replaces the wheat protein in the burger with soy protein, making it gluten-free. 95 per cent less land than what it would take to create conventional ground beef from cows. It’s delicious and we are using less water, producing less pollutants, experiencing less epidemics, reducing poverty... so why aren’t we all eating the Impossible Burger? The challenge is scalability. As of right now, the Oakland manufacturing plant can only produce enough to satisfy about 0.02 per cent of that demand. Demand is quickly outweighing supply, as more restaurants are keen to sell the Impossible Burger. In Hong Kong, more and more venues are adding the Impossible meat to their menus and creating innovative dishes from it – and Impossible Foods couldn’t be happier, as Asia drives 44 per cent of the world’s demand for meat. So did I find out why the richest in the world are investing in Impossible Foods? On our last evening in Palo Alto, we had dinner at Buck’s of Woodside, a hotspot for Silicon Valley’s most powerful figures. I met Samir Kaul from the startup’s original venture capital backer, Khosla Ventures, which provided seed funding and invested in multiple subsequent financing rounds.